Looking for River Flows In You (Lindsey Stirling Version) Violin Cover? 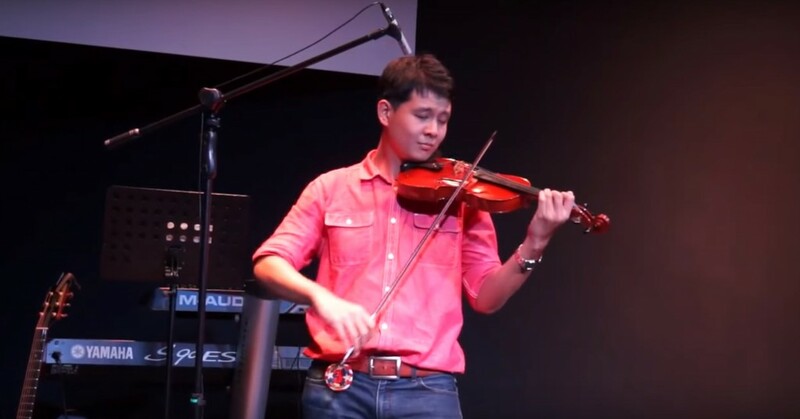 River Flows In You is originally written by Japanese composer Yiruma, but the one on this page which I played is arranged by Lindsey Stirling – the popular YouTube ‘Dancing Violinist’. Lindsey Stirling’s cover of the song is popular on YouTube, and hence I would love to play it myself. She covered it with her on the violin, and a harpist beside her. As I don’t have a harpist beside me, I play the violin with a River Flows In You minus-one track at the background. I performed this song for my church’s 3rd anniversary in 2014. The video is recorded by my good friend, Royston Tan. His videography and editing skills is awesome yea!? All credits to him! The violin music sheet of River Flows In You (Lindsey Stirling Version) is arranged by Lindsey Stirling herself and I have personally bought her violin book, which includes the violin sheet music, and the background minus-one track for you to play along. Yes. I get it shipped via Amazon from US all the way to Singapore! Lindsey Stirling – Violin Play-Along Volume 35 (Book/CD) . The book also comes with other popular violin covers she has recorded. Highly recommended! Any questions on River Flows In You Violin Cover? Any questions regarding playing of the song? Type into the comments below and I will help you as much as I can! … where and what country was this duet performed?